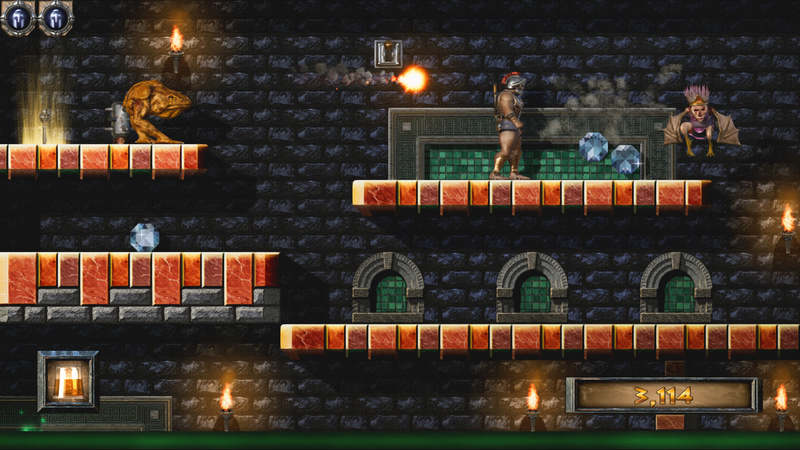 Hercules is well and truly on his way to Nintendo Switch, as a remaster of the classic '90s platformer Gods is on its way to the console. 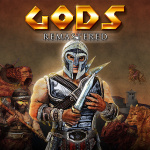 Fittingly called Gods Remastered, this new release has been developed by Robot Riot Games and actually released on Steam towards the end of last year. 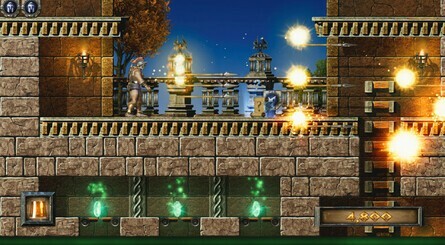 The remaster presents the original title - developed by the Bitmap Brothers and released on systems like the SNES, Sega Mega Drive and more around 1991/92 - in a whole new look; you can actually play either with the original pixel graphics or in a "modern 3D mode with an extensive new soundtrack". You can see the visual differences in the images below. - Experience this true-to-original reworked classic for the first time with improved controls and frame rate, with save points and an extensive soundtrack. The Switch version news actually comes from a Facebook post, in which the developer states that the game has now passed certification. The post says that the game "only needs the store page set up now, which will happen soon". No release date has been provided, but that certainly sounds promising to us. Do you like the look of this one? Any memories of playing the original back in the day? Let us know in the comments. "- Switch between classic pixel and modern 3D graphics at the push of a button"
This is the best thing for retro re-releases. Like Monkey Island 1 and 2 Special editions and Halo if I am not mistaken. I hope more games do this! @Zuljaras you are correct. Halo did it as well. @Zuljaras And Wonder Boy: The Dragon's Trap of course, that has excellent switch of retro graphics and/or music on the fly. When will this fascination with "retro" games end? The graphics and gameplay look so stilted here. I love me a good pixel art game but this is getting out of hand. Gods is a terrible game though, why bother remastering it? Bring us THE CHAOS ENGINE!!!!!!! You had me at Bitmap Brothers. I love this kind of remaster, when it keeps the option of seeing it as it was before, which should have been in the new Toki. Plus, never played Gods back in the 90s, so depending on the price and the purchase options I might get it. @RidzDesign I mean, I'm not sure why you put 'retro' in quotes. This is literally a remake of an Amiga game, it's as genuinely retro as it gets. -Castlevania Bloodlines (how this has never been released more than once has always blown my mind!). Yea a 56 Metascore means a pass for me. As long as the occasional gem comes down the pipeline, I hope that it never does! I love that the game styles of my childhood can thrive in modern gaming. @BanjoPickles Faxanadu is one of the best games ever created. It was ahead of its time. It was! One of the most artistically striking, best sounding, most involving games of the 8 bit era! It's a game that deserved a bigger audience, and it is begging for a remake! Cool. These guys always had a really unique and iconic detailed pixel art style that I really liked. Not so bothered about the 3D version, that just looks pretty generic imo, but nice to see the original classic return. What someone should do is an entire Bitmap Brothers collection with all there games in one pack. Now that would be frikin' awesome. Would love a Bitmap Bros collection: Speedball, Xenon, General Chaos, Gods Magic Pocjets etc. I've been following this guy's efforts on his FB page, so I'm delighted. @Tucker777 honestly, such a collection would be a lot better. @BanjoPickles I used to own E.V.O. and sold it for 300$ then bought my switch with that money lol. It is a fun game but I would rather them take the OG game and expand it rather than a pure remake. I never played God's back in the day but I recall it getting good reviews. If I was a developer and has the chance to remaster one of The Bitmap Brothers games it wouldn't be God's though. It would be the one, the only Speedball 2 Brutal Deluxe aka the greatest sports game ever made. You know it's an issue when the original looks significantly better than the "remaster". Is this game even a true classic anyway, or is it just nostalgia? They should do that, then you can buy it for $15-20! It'd be like coming full circle. Own the original on the SNES, but have to admit I’ve never tried it. "remaster of the classic '90s platformer Gods"
Never heard of this game before. I'm assuming it's some British game? I guess they didn't get to fixing the animation. Even if I had the time to waste, it would not be playing this. I loved Gods ... I'll check this out! @KennyBania i wouldnt say crap but fffffffffffffffffffff frustrating as hell I know it was ported to the sega Mega drive as well not sure if their was a snes port. @RidzDesign I think if it plays well and tells a great story, why not continue using retro art styles? It’s not hyper realistic or HD graphics are going anywhere (although I think something is gonna give in that regard and gaming budgets at some point). There’s room for everyone. But I will be honest, I never heard of this game. Though I admit to not being fully informed on other franchises outside of Mario, Sonic, Street Fighter or maybe even something like Mortal Kombat back in the early 90s. @OrangeCluster Even the 3d looks crap. Why doesn't anyone rather bother with say Superfire Pro Wrestling, or Xmen Mutant Apocalypse, I ask you! Doesn't really need 60fps. Definitely does not need that 3D makeover. Yucky. Not that fun of a game but it's nice that it got the remake and retro look going for it. I might get it if it ever hit the bargain price. @hbkay Totally echo that call. I had both Gods and Chaos Engine on the Amiga when they first released. Two great games as I can recall. Another BitMap Bros game would be Speedball 2 for a switch remaster. Gods were originally a Amiga game which were ported to other systems. 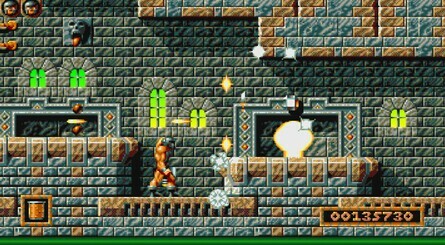 I played all Bitmap Brothers games on Amiga and CD32 console. Great to see Gods but yes, bring on The Chaos Engine. But it's not. It'a great game. I'm a pretty big retro head and I know about alot of different games spanning across many systems/years but, I've never even heard of this game. I had a Snes and a Genny and rented and owned loads of games but I can't recall ever seeing this one. I'll have to look into it a bit. @Zuljaras Wonder Boy and the Dragon's Trap did the same thing to great effect. I really enjoy the extra love developers put into these rereleases. @BanjoPickles Oo do you remember Conquest of the Crystal Palace? That's my jam and would love to see it return. Clash at Demon Head too. Good call. Been said on this thread before, but the best thing about Gods was the title music. Into ... the wonderful... It looked good too, in the Amiga era, but this game is far from one of the Bitmap Brothers’ best efforts. Speedball 2, on the other hand, is as good today as it was then. I haven't played this back in the day, but I do remember the Sega Genesis port being featured in some magazines. I kind of like slow, janky old games like this one, maybe I should give it a try. OMG, I had completely forgot about that game! It's definitely a forgotten gem! Had a 'copy' of this on the Amiga. I do remember thinking it was cool, presentation-wise, but I don't remember making any significant progress with it. Looking forward to seeing what adult me can do with it. I'd buy a remake or remaster of Faxanadu, Clash at Diamond Head, Wizards & Warriors and any 2d castlevania games in a heart beat. In fact I'd take off work to play a complete remake of faxanadu for a day maybe a full week. Oh man, how did I forget to include Battle of Olympus?? When I was a kid, that was the closest I got to a Zelda 2 sequel. Great game that, sadly, has also been left behind! I played this on the Acorn Archimedes port back in the day. The Arc was relatively starved of many ports from the Amiga et al so games like this were always welcome. I enjoyed what I played of it, but it certainly was tricky. Briefly revisited the Megadrive version recently. Not sure I'd have the patience to spend long on it now, but it hits the nostalgia point. @BanjoPickles ohhhh man yes! Willow! I love that game, I actually still have the original nes cartridge, another odd ball hidden gem how about The Magic of Scheherazad? Not sure how many people remember or even played that game. My cousin had this on his Amiga it was a crackin game but brutally difficult. 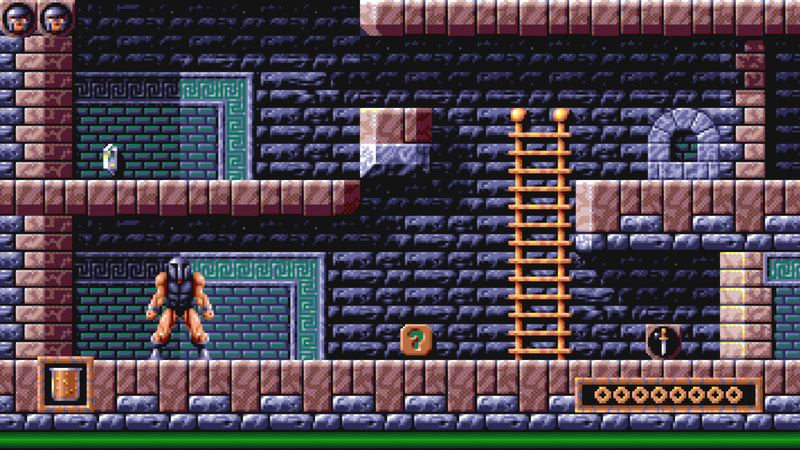 Yep, that's an Amiga platformer alright. I guess because I didn't grow up with them in the US it makes it hard to go back to. I've tried but without nostalgia this just seem stiff and slow. I'm happy for those that are looking forward to it though! Why would you release the same game, but with worse art? Of all the things that needed fixing (rather than breaking) in that game. @Pod yeah the 3D art looks awful i’ll just stick to the original design myself. The Amiga era has so much beautifully kitsch art. I'd love to see more of them return with improvements in the functionality department, rather than visual overhauls. Willow has always fascinated me because, in hindsight, it seems like the missing link between The Legend of Zelda 1 and Link to the Past in that it actually FEELS like a precursor to the latter (towns, a robust inventory, defensive/offensive magic spells, and even the way that Willow and Link both swing their swords). Also, I think that Nintendo took notice of Capcom's work on Willow, which is the reason why they were entrusted with both the Oracle games and Minish Cap. I'd love to play the remastered Archon on the Switch! I really like this ability to switch between classic and modern graphics. Very nice. Why? this was never a good game. Why waste time redrawing it in HD. Beat it on pc, snes long long time ago. Will sure triple dips on this version. I was holding on getting this on Steam just to wait for Switch version. The wait is over now. Love retro games/gaming, but WOW: made it to, like, second 16 on this hotmess! Other Bitmap Bro games would have been a better choice. Speedball 2 BD or The Chaos Engine on Switch would be a start.